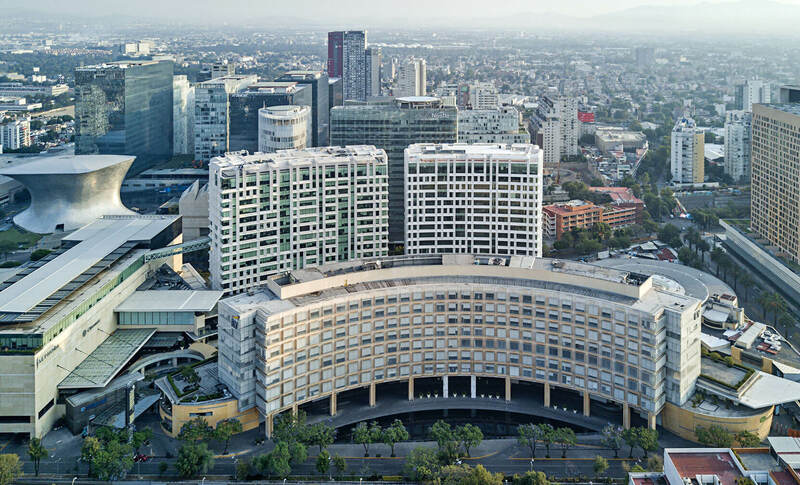 The triggered urban renewal provoked by the first phase of the Antara mixed-use development (2006) was one of the single most significant actions in the north-west of Mexico City. 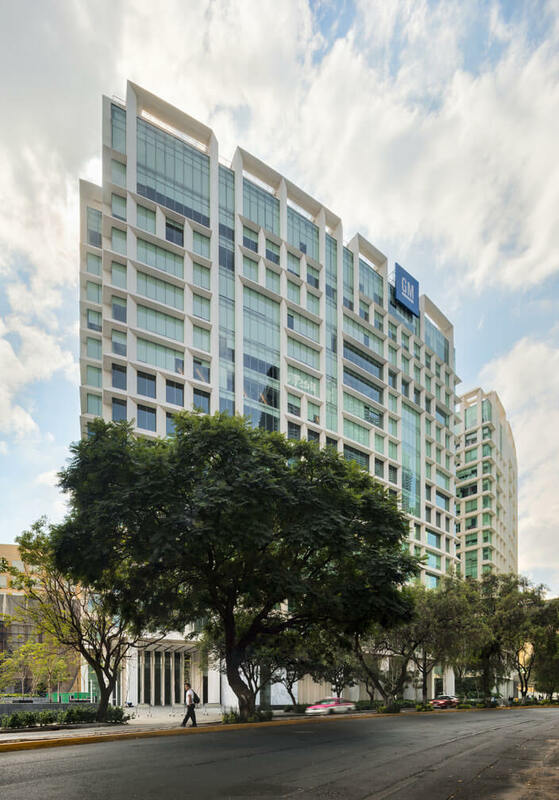 Maintaining this same outlook, Antara proceeded to develop the second phase of its master plan, divided into two stages: (1) Antara Corporate Building I and (2) Antara Corporate Building II. 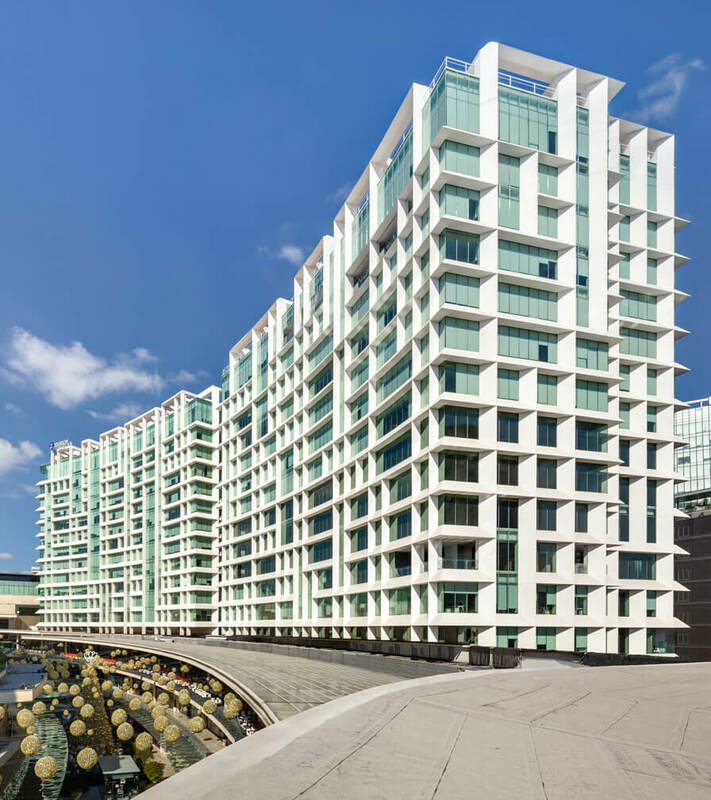 Both towers establish a direct architectural dialogue with the first phase of the development, which is achieved by the internal pedestrian street and open plazas. 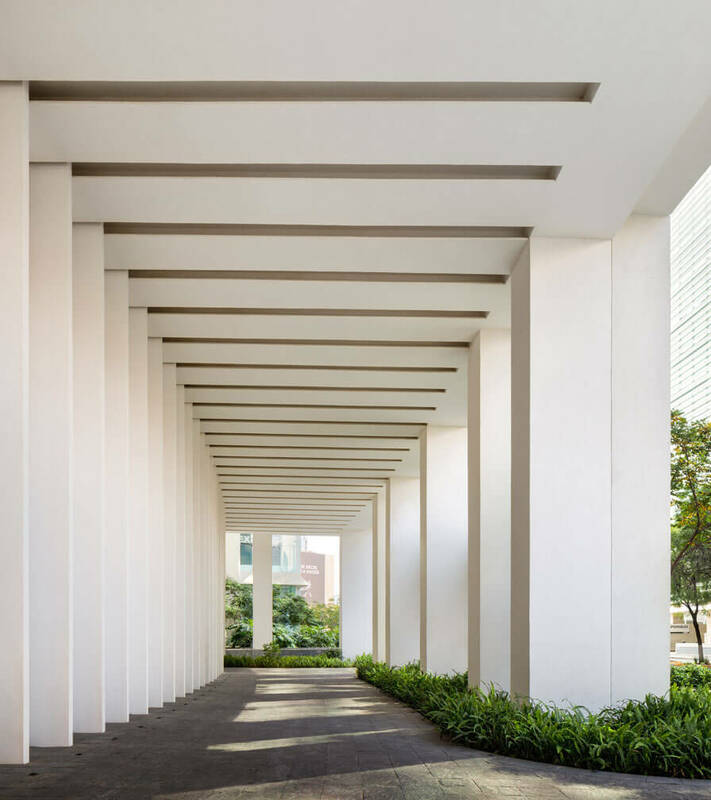 Its similarities are evident in the design and intentions of the spaces, uses, connections, materials, and structures. The difference s between them lies in the built area, their elevation, and the façade’s reticle, as each responds to different requirements and terrains. 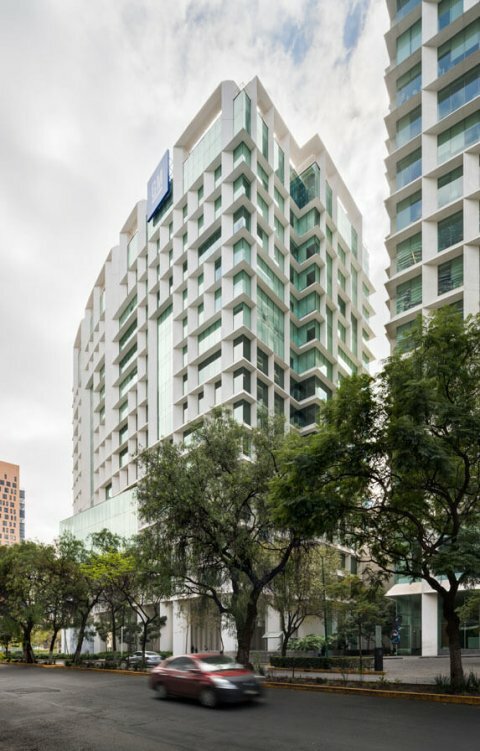 The Corporativo Antara II office tower rises to 15 stories at the far north-eastern corner of the complex. 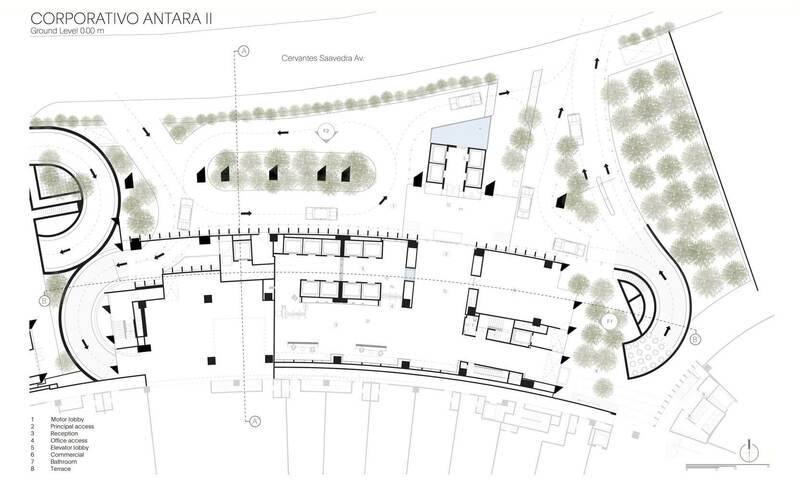 The architectural layout takes up parallel and radial lines emerging from the first phase with the result that their floor plan is rectangular, but with curves on the north and south façades. 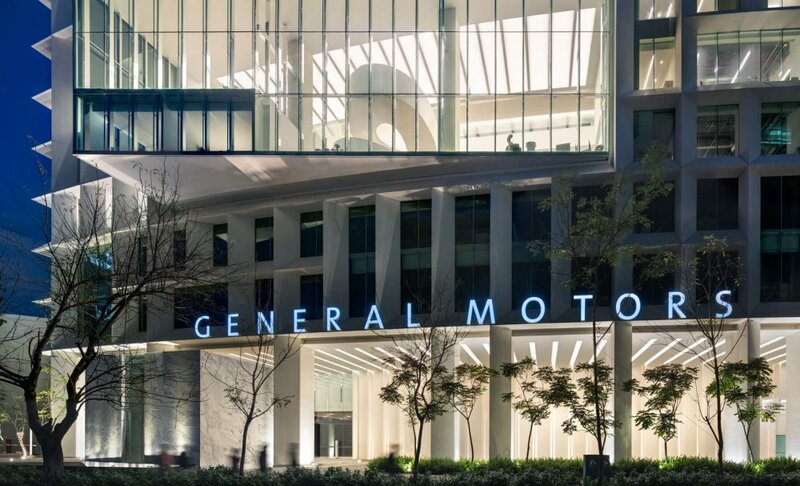 The design of the façade corresponds to and emphasizes the internal functioning of the building, and presents a combination of differently-sized rectangular modules that all share a single vanishing point and are based on prefabricated elements. The vertical elements continue upwards beyond the final floor and wrap around this last floor, emphasizing the verticality of the building. 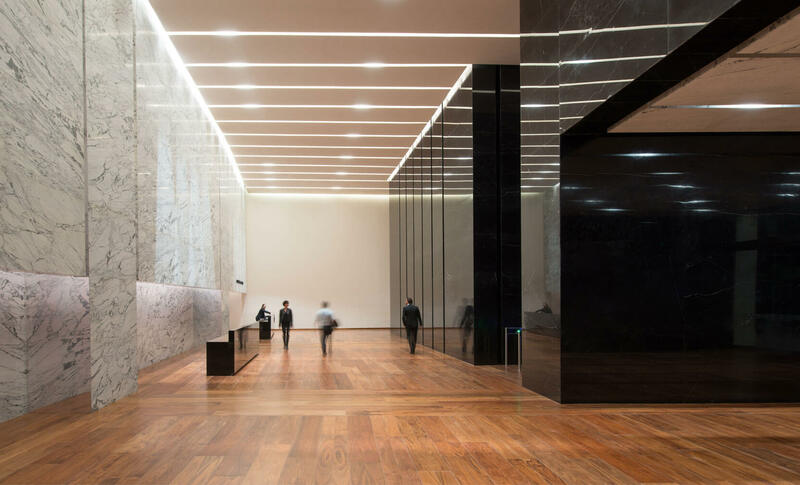 The rhythm of the different modules forms a play of light and shadow that creates a sensation of greater depth in the building’s faces, an effect that changes over the course of the day. 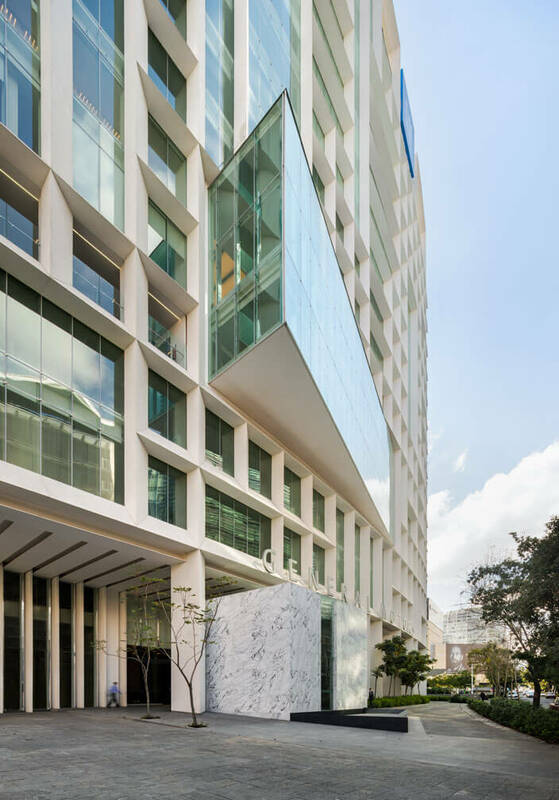 The distinguishing element of Corporativo Antara II is established between floors 3 to 5, where a 6-meter cantilever opens up new perspectives from the interior over the immediate context.